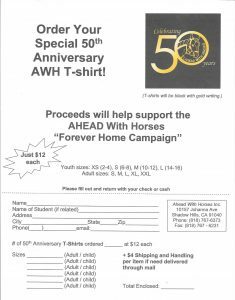 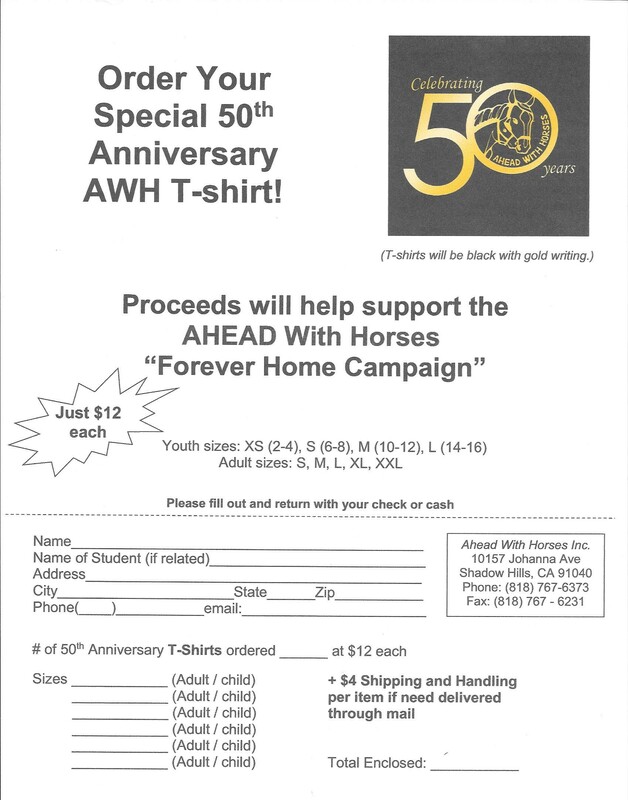 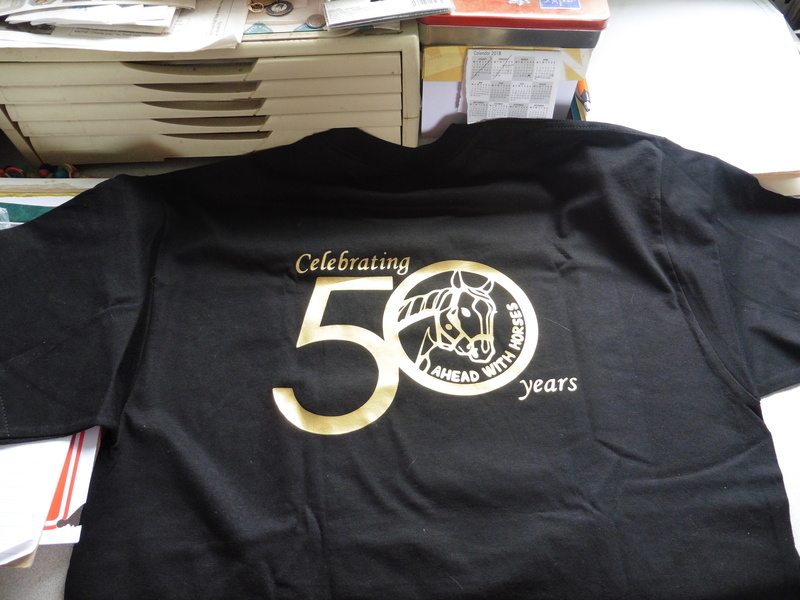 You can now order and purchase our 50th Anniversary T-shirts for $12 each! 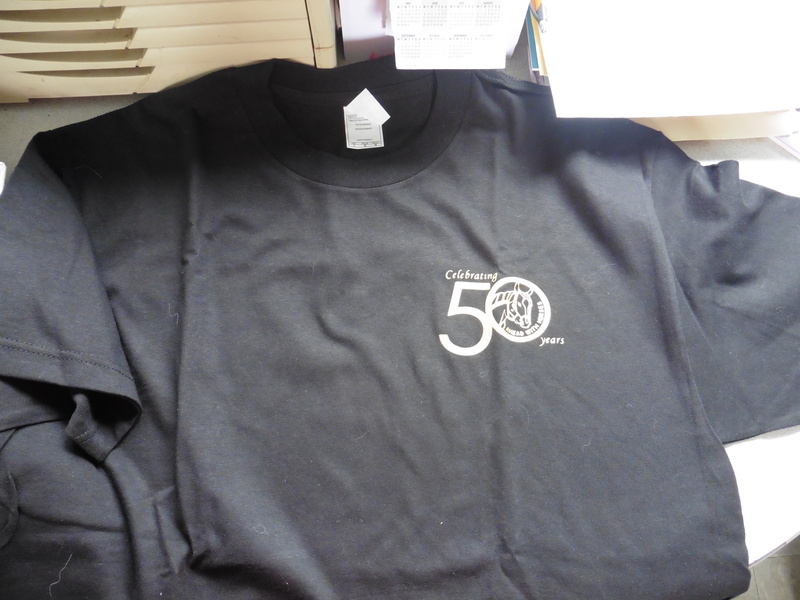 Adult shirts will have the small logo on the front and large on the back. 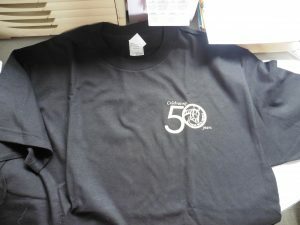 Child sizes will have the large logo on the front. 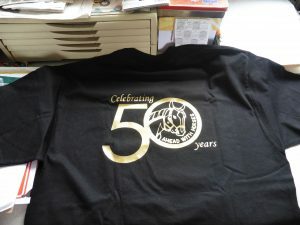 All are black with gold writing.